Malshej Ghat Tourism. Located at the historic town of Pune Pawar Travels provide you cab from Pune to Malshej Ghat Malshej Ghat is a mountain in the Western Ghats in Maharashtra District. The total distance in between Pune to Malshed Ghat is about 120 km. Malshej Ghat is known for various types of Avian population and particularly known for Flamingos. The best season to visit Malshej Ghat is in the month of August and September with all greenery around and those Flamingos visit this area during this month. In this area you cant find very posh hotels and restaurants but Flamingo Hill is a restaurant which is run by Maharashtra Tourism Development Corporation. places to see in Malshej Ghat are The Birth Place of Shivaji Maharaj , the Shivneri Fort which is not very far away from Malshej Ghat it is approx 40 km. The Harishchandragad- The history of Harishchandragad is linked with the Malshej Ghat. This fort is quiet ancient.The Marathas captured it in the year of 1747. Fascinating spots in Harishchandragad are the Saptatirtha Pushkarni,Kedareshwar Cave, Konkan Cliff, Taramati peak ,Nageshwar Temple near Khireshwar and many more. There are 4 to 5 known ways to reach the fort those are through Khireshwar , Kothale , Belpad. Food Facility is provided by the villagers staying there the food consists of Dal-rice Chapati and Besan.There are manny things to do in this Ghat like for adventure seekers there are trekking trails in the surrounding hills along with number of waterfalls and a large number of Flora and fauna it is best gateway to visit from our busy life. 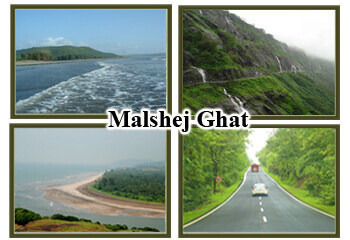 The major attraction around Malshej Ghat ia a best view of valleys. For the tourist who love to stay there for a night there is a school Khireshwar which is the best place to stay for a night. And the other place to stay there is the Hanuman temple.